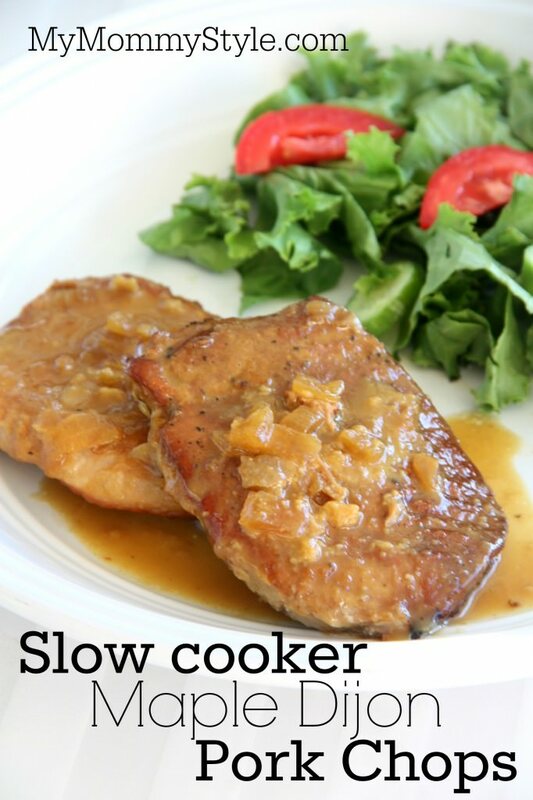 I have never made pork chops in the Crock Pot and thought it would be fun to give it a try. These pork chops were sweet and savory and SO good! We served these on top of some brown rice and the sauce is almost as good as the pork chops themselves. One last thing that I have to mention is that this was also one of the easiest dinners I have ever made. This is a great dinner all around. Spray slow cooker with non-stick cooking spray. 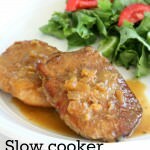 Place pork chops at the bottom and season with salt and pepper and top with the chopped onion. In a bowl, mix together the maple syrup, mustard and apple cider vinegar, pour on top of pork chops. Cook on LOW for 6-8 hours or HIGH for 3-4 hours. 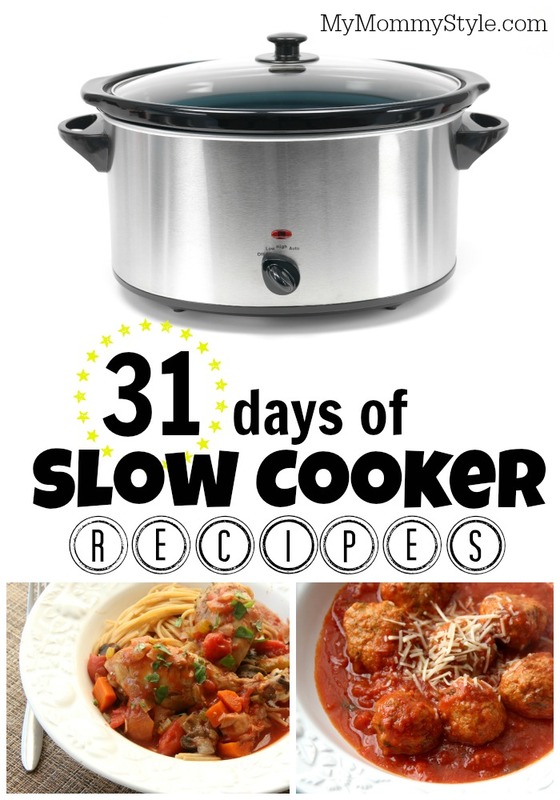 This recipe is part of our “31 days of slow cooker recipes” series. For a full list of all 31 delicious recipes click HERE. Posts may contain affiliate links. If you purchase a product through an affiliate link, your cost will be the same but My Mommy Style will receive a small commission. Your support is greatly appreciated!